It often happens that even a strong relationship can’t stand the problems that may come up in a marriage. 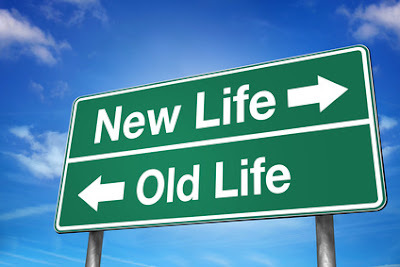 How to live after the divorce? Divorce is a common phenomenon in today's society. Statistics show that among the best dating sites about half the participants are people who have experienced at least one divorce. Many people are overwhelmed with fear of facing an unknown future after a divorce. How am I going to live? It is so difficult to think of a new way of life, new experience and bitterness of possible disappointment. Nevertheless, we should strive to be in a state of love and happiness, regardless of anyone or anything. Here are some recommendations on how to live happily after divorce, return to the routine rhythm of life, or even change everything for the better. 1. Say goodbye to the past. To do this, you need to break the link with your husband and forget about how you lived together. Try to hide photo albums, his gifts, and just forget that it was your husband. Now you should start your own life. Over time you may even become friends, but now try to forget the past as painlessly as possible. 2. Take care of yourself. Schedule an appointment with a professional massage therapist, choose a new hairstyle or go shopping. You should understand that it is time to change, so start with your appearance. Feel free to join a gym, or start jogging in the morning. You will definitely meet another man in your life, so be prepared for anything. 3. Keep a diary after divorce. If you do not have a real friend you can trust, turn your secrets into text. Recent BBC surveys have proved that keeping a diary perfectly helps to get rid of emotional stress. Every time you feel very bad, fill the pages of your diary. If you love to paint, do not hesitate to illustrate your thoughts to get rid of painful feelings. 4. Get away from it all. If you have the opportunity, go on a journey. At the moment, you need to leave your house for a short time in order to get rid of different memories. You can even try online chat rooms and have a little talk with some strangers. If you have relatives in another city, visit them to let go of the past. Time will pass, and you'll be experiencing your break less painful, but first you need to get used to this idea. 5. There’s no reason to think that loneliness is now your destiny. Previous experience will warn you from many mistakes. Don't miss the chance to build a new relationship! Just soberly weigh all the pros and cons and try to find only positive moments.